Nice article, but are CallStack and Context Microsoft-specific classes? I’ve never run across them in the standard library. ▽ We do not use C++ exceptions. Let me know if you have questions about them! sulfide: The problem with that convention is that it prevents you from using the standard C++ library or boost, both of which save a great deal of time when developing a project and also use exceptions occasionally to signal failure. 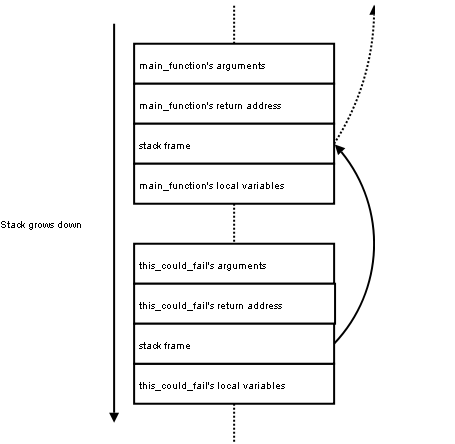 Once upon a time there was the the proposal that exceptions would not unwind the stack by default, but instead let that decision to the exception handler (like in Common Lisp and a few other sane languages). Fortunately for all, God Almighty Bjarne Stroustroup and his fellows on the C++ committee decided that such a feature would be too hard to use, and after all, who needs it ? This is certainly a neat way of solving a pretty tricky problem. It just reinforces why I never, ever, want to use C++ for anything again. I want to focus on solving the kind of problems my clients need solved, not kludging around the behaviour of a brain-dead language. Previous Previous post: IMVU’s CallStack API Now Open Source!